Audience goes in the inner tubes; inner tubes go in the water. Jaws is on the water. Our Jaws. Rolling Roadshow's most celebrated event is coming back in 2018 - in a big way. Jaws On The Water returns to the picturesque Volente Beach Resort on Lake Travis, just outside Austin, to terrify an all-new batch of audiences across fourteen hot summer nights. You yell “Jaws,” we've got a party on our hands - and you're invited. Just imagine watching the greatest and most terrifying thriller ever made as your feet dangle helplessly into the water, naked against the horrors that dwell in the stygian depths below. 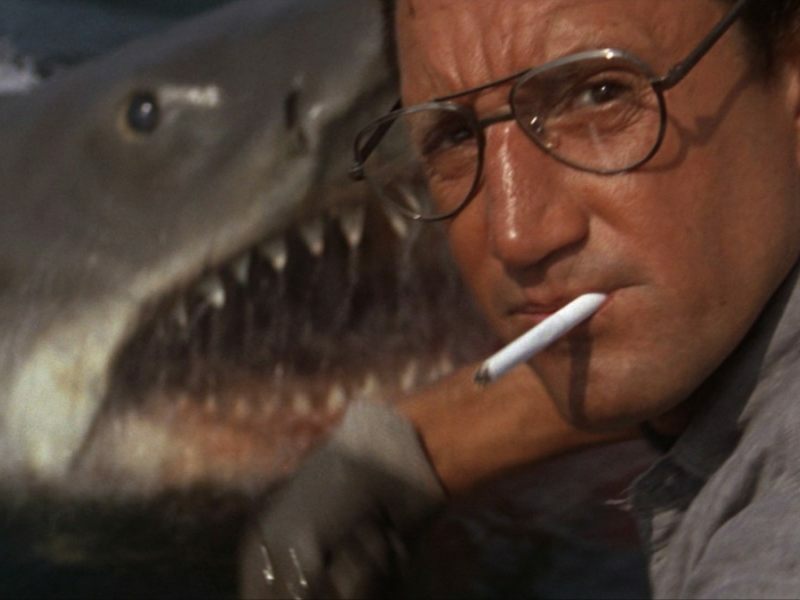 That's what Jaws On The Water is: you, an inner tube, open water, and Steven Spielberg's scariest film ever. This year's inner tubes are specially designed for Jaws On The Water, with headrests and cup holders to ensure maximum comfort (though, as chum for unseen marine beasts, you'll never be THAT comfortable). You'll even get to take them home, should you survive. We're pretty sure Lake Travis is shark-free, but we can't guarantee that a squad of scuba divers won't be down there to shake things up a little. So don your swim trunks, compare your scars, and experience the movie that birthed the modern blockbuster in a whole new way. Doors open at 6pm, with guests granted admission to all the attractions of Volente Beach Resort. The movie will start right as the sun sets, and if the fire marshal allows it, it'll conclude with a bang.